When it comes to preparing a presentation the beginning is the most time-consuming part. That’s certainly the highlight of a recent Time to Market survey on presentation preparation techniques. In the survey we asked our respondents about their presentation preparation techniques, the amount of time they took and where they actually worked on their presentations. In an online survey 40% of the respondents spend most of their preparation time on the beginning. Some 20% spend most of their time preparing the presentation’s conclusion and 20% spend most time preparing questions and answers. How long do you take? You too can take part in the three minute presentation skills survey. Time planning is clearly of the essence for anyone planning a presentation, and our survey highlights how much time is involved. When asked how long it takes to prepare a presentation 33% said a new presentation took more than five hours to prepare and 33% said it took between one and three hours. 42% of the survey noted that, ideally, they would like three to five hours to prepare a new presentation. Peace and quiet are clearly important when preparing a new presentation. Key distractions include: the telephone, email, co-workers and the boss! The telephone was noted by 28% as the principal distraction to working on a new presentation. Email was the principal distraction for 20% of respondents and co-workers were mentioned by a further 20% of those surveyed. Not surprisingly, the home office was cited by 60% of the survey as the ideal place to prepare a new presentation – only 20% would choose their work office. But, especially for employers, no one opted for the garden or in front of the TV as their best preparation space. This online survey has run since October and is promoted through the Time to Market web site and other affiliate sites. 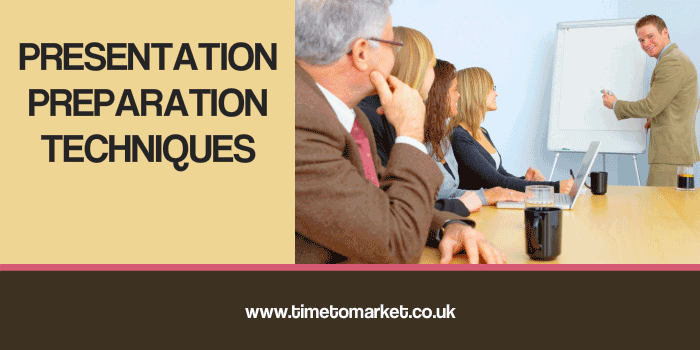 Time to Market provides presentation training courses with a national network of presentation training centres. Courses cater for the training needs of a range of public, private and third sector organisations. Presentation skills are boosted with the innovative PresentPerfectTM training course (six trainees per class). 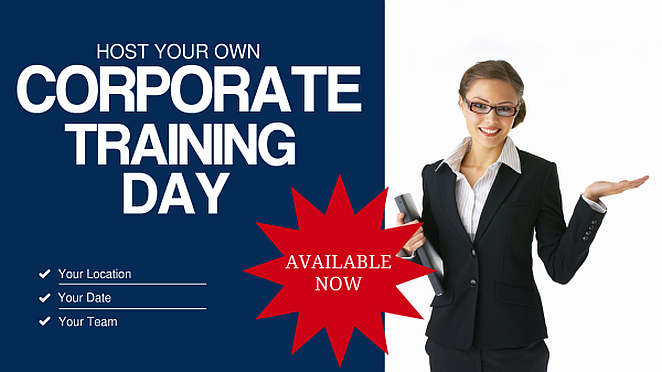 Time to Market presentation courses and one to one coaching sessions are available at each UK training centre.